The Tourism Authority of Thailand (TAT) has arranged a “Discover Thainess: The Journey of Thai family fun activities” during last weekend (13-14 December, 2014) for Bangkok-based members of the international media and travel bloggers as a way of introducing its new campaign to the world and showing some of the family-friendly, unique Thai experiences to be had in and around the city of Pattaya. 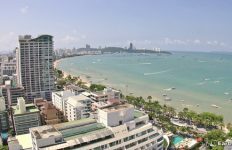 With this “Discover Thainess: The Journey of Thai family fun activities” to Pattaya, TAT wants to show how the resort city offers so much more than beaches. Visitors can immerse themselves in the Thai style of life by trying local food and drinks, experiencing ancient arts; such as, Thai kickboxing and massage and by shopping for traditional handmade products. 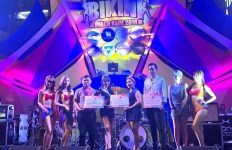 The trip took the media to attend Thailand’s first ever haunted trail running event, the U-Tapao Ripley’s Run which took place on 13 December at the U-Tapao-Rayong-Pattaya International Airport. The event offered a fun factor in which runners and athletes were chased by actors playing terrifying zombies. Also on the itinerary was the chance to interact with the mind-bending 3D-art at Pattaya Art in Paradise Museum and to enjoy an evening of squid fishing from a traditional Thai fishing boat. In addition, the group visited the world’s first Cartoon Network Amazone waterpark for a fun morning of riding the slides. The trip concluded with the chance to experience Pattaya’s spiritual side by visiting the “Sanctuary of Truth” a temple-like structure which has been exquisitely carved from local wood and adorned with sculptures that teach visitors about Eastern religions and philosophy. The building is a showcase for the Thai woodcarving art and is helping to keep the traditional skills alive. 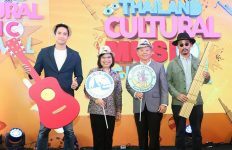 Mr. Thawatchai said, “We feel that that the “Discover Thainess: The Journey of Thai family fun activities” is a great way to showcase the variety of unique experiences that can be found within a short drive of Bangkok. There are state-of-the-art theme parks, timeless temples and fun shows with new attractions opening all the time. But whatever visitors choose to do, there is always a Thai sense of fun and tradition involved. 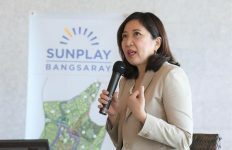 This “Thainess” is what makes holidays memorable for tourists”.